We are the leading manufacturers of Retaining clips. These retaining clips comes in various shapes and sizes to aid the user. 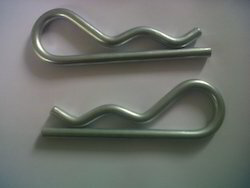 These are corrosion resistant and highly durable thus supports the user for a long duration of time. 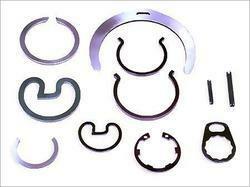 Owing to the wide experience in this domain, we are instrumental in offering 2 Wheeler Retaining Clip to our clients. NORMAFIX® RS/RSGU pipe retaining clips are suitable for all kinds of fastening and retaining applications: pipes, cables, cable harnesses, cable protection pipes, hoses and other lines.